Facebook still reigns supreme in social media with more than 1.4 billion daily active users. However, it’s also the top choice for social media advertising with 93% of marketers using the platform regularly. What does that mean for your brand? It’s simply not as easy to reach your customers anymore. The best times to post on Facebook are Wednesday at noon and 2 p.m. and Thursday at 1 and 2 p.m.
Thursday is the best day to post on Facebook in the week. The safest times to post include weekdays from 10 a.m. to 3 p.m.
Saturday has the least amount of engagement for Facebook in the week. Evenings and early mornings have the least amount of engagement in the day. The most engagements are sent on Facebook during typical lunch breaks on Wednesday and Thursday. This could be from users trying to reach out for help during lunch or simply due to the additional free time on their phone. Additionally, weekends tend to be poorer times for engagement–especially on Saturday. People are out and about on Saturdays so don’t expect much engagement when your audience is the busiest. 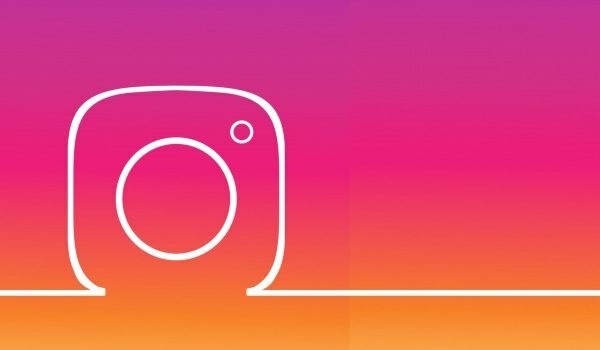 More than 70% of US businesses currently use Instagram and many expect that number to rise. Whether it’s highly engaging photos or breath-taking videos, Instagram is the home of visual content. The only problem is, just like Facebook, it’s getting harder to organically appear in front of your followers. Instagram says more than 80% of users follow a business on the app–so why not make sure you’re reaching out to them in the best way possible? The best time to post on Instagram is Wednesday at 3 p.m., Thursday at 5 a.m., 11 a.m., and 3 to 4 p.m. and Friday at 5 a.m.
Thursday is the best day to post to Instagram. The safest times to post to Instagram are Tuesday through Friday 9 a.m. to 6 p.m.
Sunday is the least engaging day for Instagram. Some of the highest engagement is at 5 a.m. Tuesday through Friday. More likely than not, this is from people waking up and checking their phones first thing in the morning. Other high engagement times include the middle of the day on weekdays. Instagram users under 25 spend approximately 32 minutes a day on the app–so think of all the midday lulls when users are picking up the phone to check their feed. Weekends are not necessarily that far off from weekday engagement. Afternoon brunches, hangouts and other events still have people on their phone through the day. However, engagement falls off dramatically early Sunday and Monday in the a.m.
With more than 350,000 tweets sent every minute, driving Twitter engagement can feel like a needle in a haystack. Marketers have to be smarter about how and when to reach their core audience. However, there’s still plenty of opportunity for brands on Twitter. In terms of organic posts, Twitter still has one of the best chances to answer a question, comment or concern in real time–providing a much better brand experience. Always be available by listening, engaging and publishing at the right times. The safest times to post Tweet are everyday 10 a.m. to noon. Head over to Sprout Social for the full article, which goes into greater depth for different types of businesses and the right times to post.